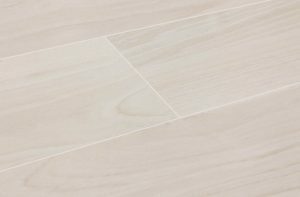 How to Choose Flooring to Fit Your Style: An easy guide to discover what your design style is and which flooring style will complement your unique look. You probably have an idea of what you love about your house. For example, when you shop online for furniture, maybe you gravitate more towards one style than another. 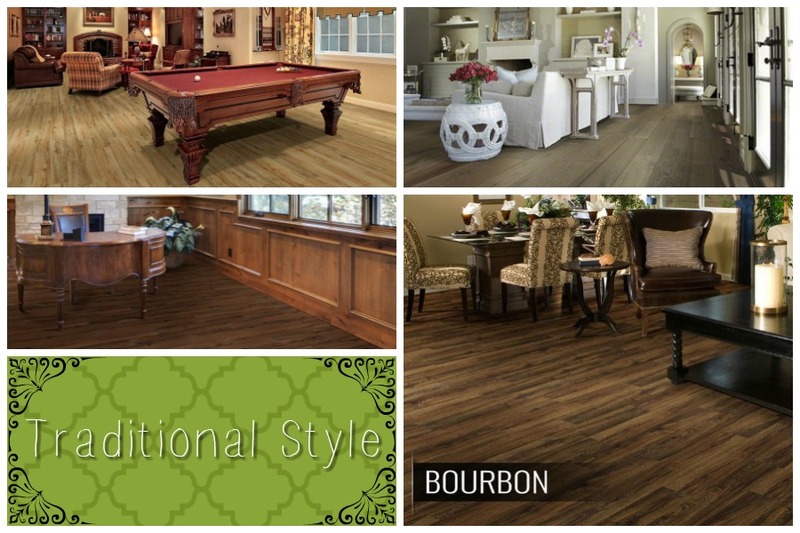 Your flooring style should also match your design style. Most people have a style type, but maybe you don’t know yours. Personally, I’m a mid-century modern girl. Have no idea what that means? Let me help! 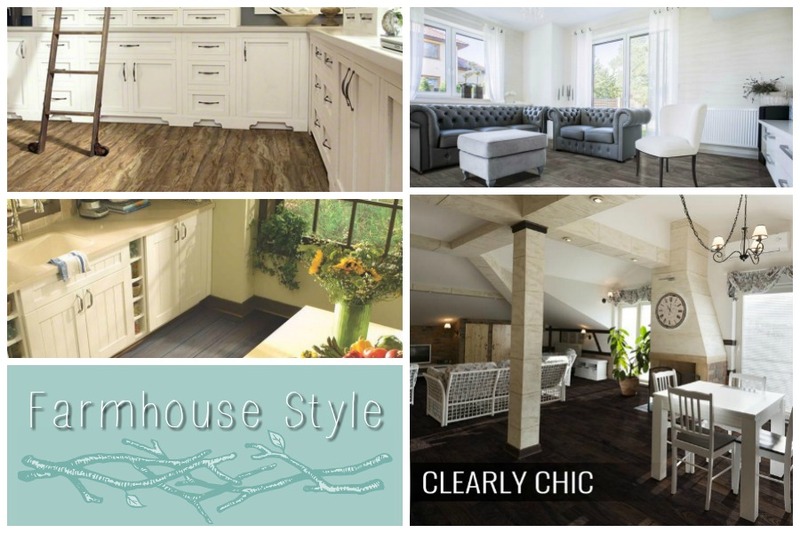 Let’s look at 10 different types of style: Contemporary, Modern, Traditional, Industrial, Farmhouse, Coastal, Eclectic, Shabby-Chic, Scandinavian, and Bohemian. 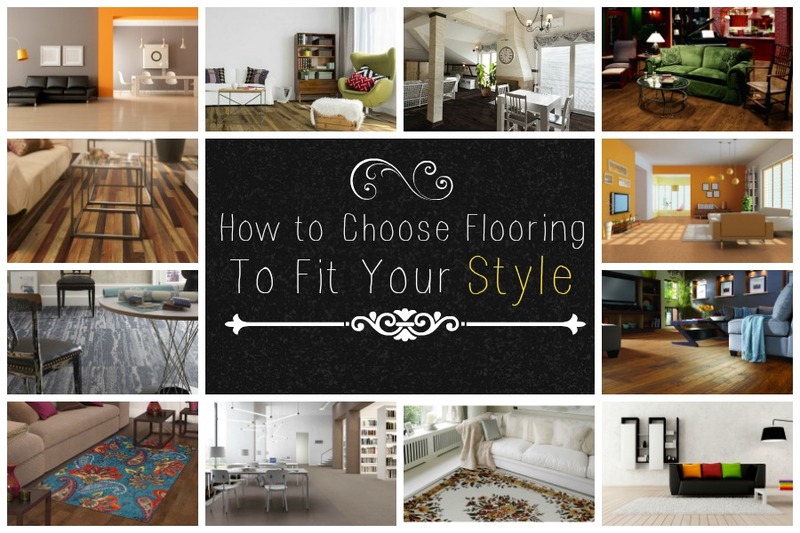 You’ll discover some flooring styles are better than others for each unique look. Maybe you’ll learn some history too. There’s some confusion about contemporary versus modern. When talking about design, contemporary and modern are totally different things. Contemporary design means “of the moment.” This design style is clean, smooth, and bold. Right now, hard flooring is in, and carpet is out. Open floor plans are also contemporary, as well as neutral colors with an accent color. The Color Pop: If you’re familiar with the use of a “pop of color,” then you probably have seen contemporary style. Bold and Beautiful: It’s all about the accessories. Be bold! Openness: Open spaces are important in composition. Keep it Simple: You probably want to avoid embellishments and curvy pieces of furniture. Simple lines are for the contemporary. 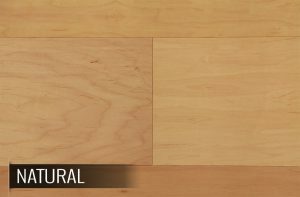 Natural: Bare and smooth floors. Lay off the rugs and the distressed look. The look of contemporary is clean, smooth, but bold. Decorate open floor plans in contemporary style. 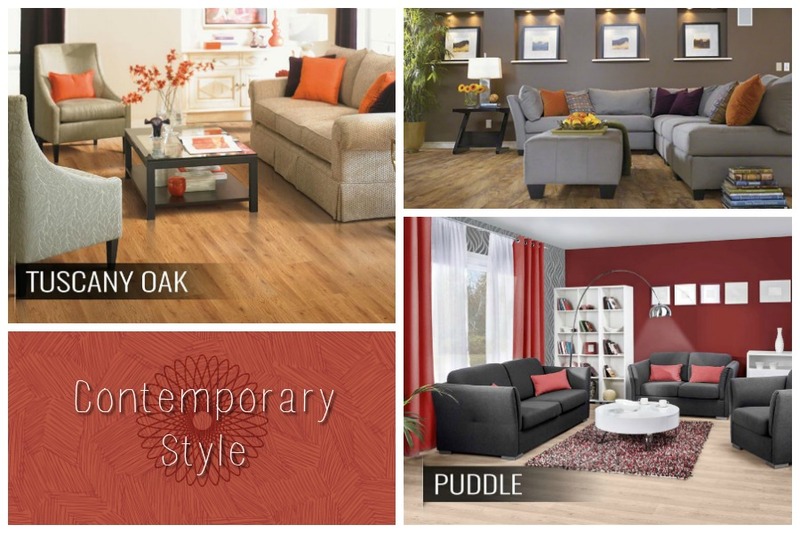 If you love pops of color in your rooms, choose a neutral floor like wood or tile in a light finish. It will make your colors stand out and a light finish makes your room look more open and airy– perfect for this style. Modernism is a movement that began in the very late 1800s and mostly picked up steam in the 1920s. Modernism’s roots are definitely older than you might expect, but that doesn’t mean it’s old. 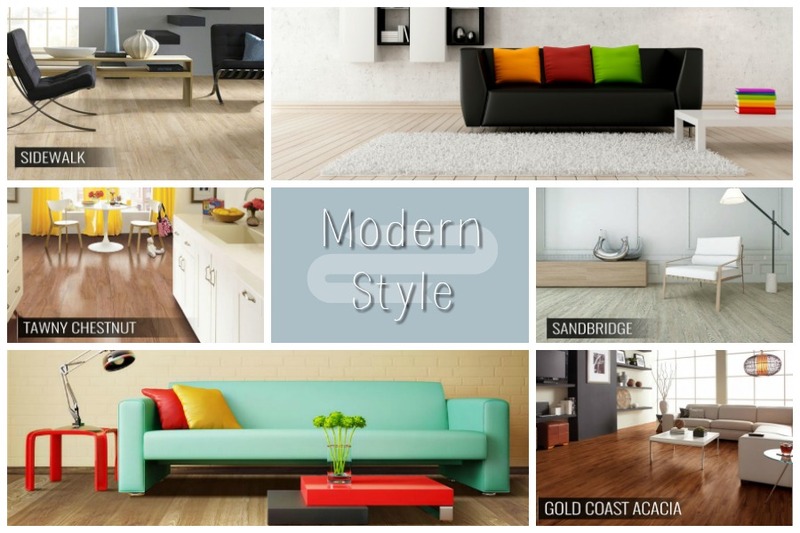 Modernism is still a very popular style (in fact, I love mid-century modern looks!) and you’ve likely seen it before. Inspired by the sleek naturalness of Scandinavian designs, modern design mimicked minimalist style practices and celebrated the functional. Why did minimalism become a thing? Well before modernism was the Victorian era, which was basically dark, drab, and full of long curtains. Think of your favorite historical horror movie (Crimson Peak, Lady in Black?) To simplify, the Victorian children grew up, they got very rebellious and quickly reversed everything. They banished the curtains, swept the floors, and brought in the air. They wanted nothing fussy, and thus, modernism was born. When: Modernist style began in the 1920s and went through the 1950s. Keep it Neutral: Neutral colors and natural materials are favored. This design favors simplicity. Form Follows Function: No need for fru-fru and unnecessary accessories. Furniture should be simple and functional. 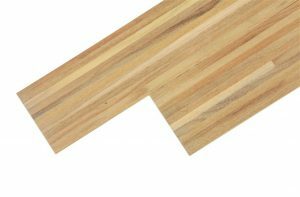 Keep in Natural: Natural wood looks are important. Modernist design values raw materials. Pretend you’re in Hemingway’s cabin. Color me Neutral: Gray, brown, or white color schemes throughout the room keep everything simple and cohesive. This style favors the look of simplicity and functionality. Modern looks don’t waste space and love an open floor plan. Often the furniture is on wooden legs to give the room a more open design. 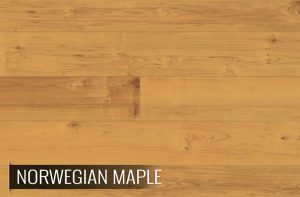 Since modern style is all about the natural material, you’ll want a wood-look flooring here. A gray or light stain would look great in this style. Traditional style began in the 1700s and continues to this day. Remember what I said about the Victorians? That was traditional style. It doesn’t always have to be dark and drab though, and today, it isn’t! Today, traditional style is simply warm and comfortable. Traditional style tends to be more formal, and furniture looks European. If you recognize the phrase “Queen Anne” when furniture shopping, you probably know what traditional style is. How Does it Feel: Comforting and classic. This is every showroom aesthetic. Be Plush: Traditional style is all about the comfort. Keep your plush couches and snuggle in on cold nights. Matte and Muted: No modern pieces or shiny accessories here. Gentle Curves: Sharp lines are NOT the look of comfort. For true comfort, you need furniture with rounded edges and gentle curves. Think Warm: Indulge in your mid-range warm color tones. Reds, browns, and deep greens make for a comfortable and inviting place. Be Luxe: Crown molding and darker floors add warmth and luxury to a room. The most comfortable of styles is traditional. It is often timeless in nature, as it’s where all your feel good memories are. Think of your mother’s plush couch, or your dad’s comfortable deep blue arm chair. The furniture is soft and rugs, throws, and pillows are abundant. The walls can be mid-range colors to add warmth to the room. 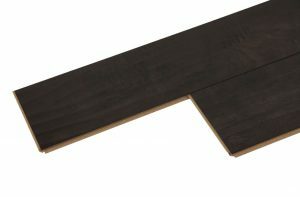 For added warmth, you’ll want a darker flooring. 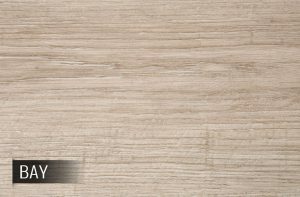 Since tile can be cold and hard, choose something soft like vinyl, laminate, or engineered wood flooring in a dark stain. Starting in the 2000s, seemingly out of nowhere, industrial style was born and it shows no signs of stopping. Where did it come from? Why do people like it? Well, there are a lot of reasons. First, larger cities with little housing are packed tight. Cities like New York, Chicago, and Boston are fairly old and unfortunately abandoned buildings such as factories or schools, can be found. Instead of, say, building a giant skyrise in an undesirable location, people began converting these industrial buildings into housing. It was a super smart move. The buildings were on the cheap and already where you wanted them to be. It was just a task to renovate them. Lucky for everyone, people seem to like the ducts, metal, and brickwork and industrial style can be found outside the factory, and inside the traditional home. Cutting Edge: Think urban for industrial style. All About the Natural: Mixing of raw materials like wood and brick keeps the room edgy and natural. Reuse and Recycle: Reclaimed wood and reclaimed furniture put into unique use is a signature style for industrial. Shiny and Chrome: Cement and metallic finishes are featured in furniture and appliances. 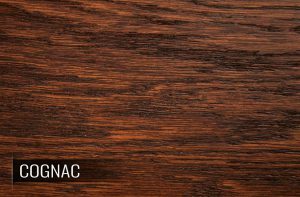 Distress It: Warm wood tones with lots of scratches and nicks are popular for this look. 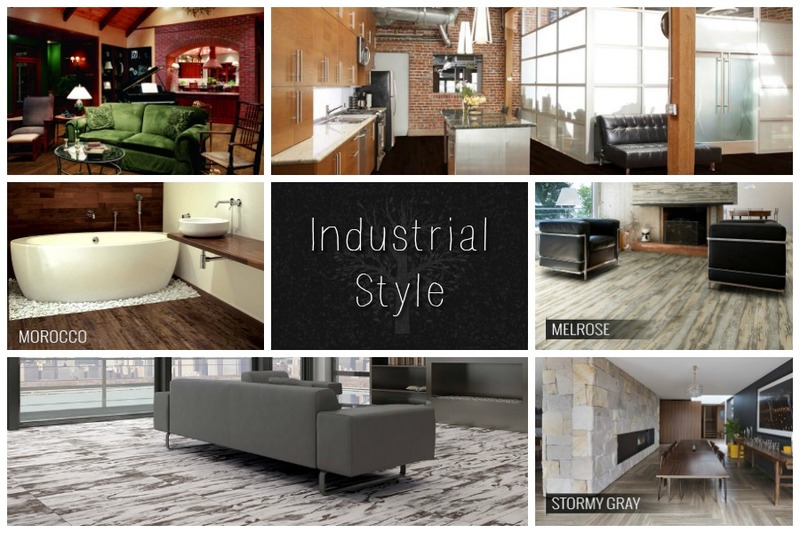 Industrial is an edgy, urban look. It’s all about the raw materials. Mix and match metal, wood, stone, and brick for a fun, reclaimed look. If you have exposed brick, leave it. Buy stainless steel when you can, and go for chrome finishes on furniture. This look pairs well with distressed wood flooring or tiles. 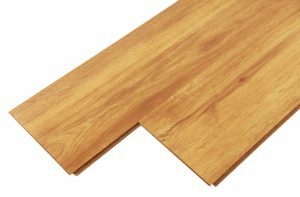 A distressed or hand-scraped engineered wood or laminate pairs well with this look. 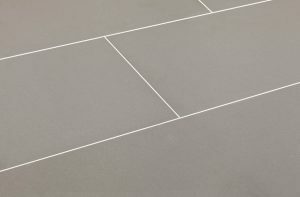 If you’re feeling bold, a cement look-alike tile will fit perfectly within this space. Farmhouse style has been a thing since the 1700s, when everyone had a farm. Often times Farmhouses were on the smaller side and near a water source. What we think of farmhouse style mostly is from the 1930s with a recent resurgence in the last decade. Around the 1930s is when traditional farmhouses began to get electricity and plumbing. Today, farmhouse style tends to be for the nostalgic, but also the social chefs. In the 1930s, the kitchens were the largest spaces in the house, and today, farmhouse style is mostly found in the kitchen. Maybe you’re like me and didn’t even know what farmhouse style was until you watched Fixer Upper on HGTV. However, it seems like everyone is wanting to get in on the farmhouse style game. Not too Country: Farmhouse style is warm and sophisticated. Flea Market Flips: Hand-me-downs and flea market finds are repurposed for added character. The Old and the New: Farmhouse style is a combination of old and new: distressed materials paired with crisp, white colors. Mix it Up: Mix and match repurposed objects. Farmhouse style is rustic, but with more charm and clean lines. This style is very in right now. This is probably because it combines the old and the new in a way that’s beautiful and interesting. Often, the color palette is crisp white walls, cabinets, and ceilings with exposed beams and warm colored wood. 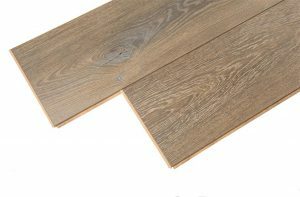 Contrasting your floor with the wall color makes the flooring be the star of the show. 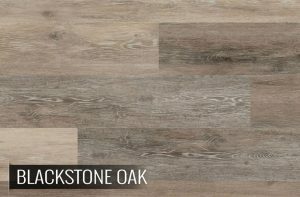 Choose a distressed or reclaimed look for your floors with an engineered wood or vinyl plank. 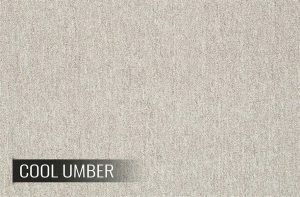 I would go with a dark gray oak look or dark browns with color variations. The more distressed, the better! Coastal style has been around since the 1800s. It began with the New England style beach houses, and that aesthetic has carried over to us mainlanders. In the early 1800s, America was expanding along the coast line, and later on, in the 1920s, socialites were building beach houses (mansions, rather) all the time. As you can imagine, beaches do get a little hot and muggy, so light cotton, linen, and airiness became valued in the home. The same remains true today. East Coast Style: Reminiscent of New England style beach houses. Let in the Breeze: The rooms are light and airy. Light Linen: Linen upholstered bedding, couches, and chairs complete the look. Got the Beach Blues: The color scheme ventures towards whites, blues, tans, and grays. Raw Wood: Unfinished light wood furniture keeps the style bright and classic. Coastal style brings the beach to you. Don’t mistake this as a beach house only style though; mainlanders are adopting it as well. 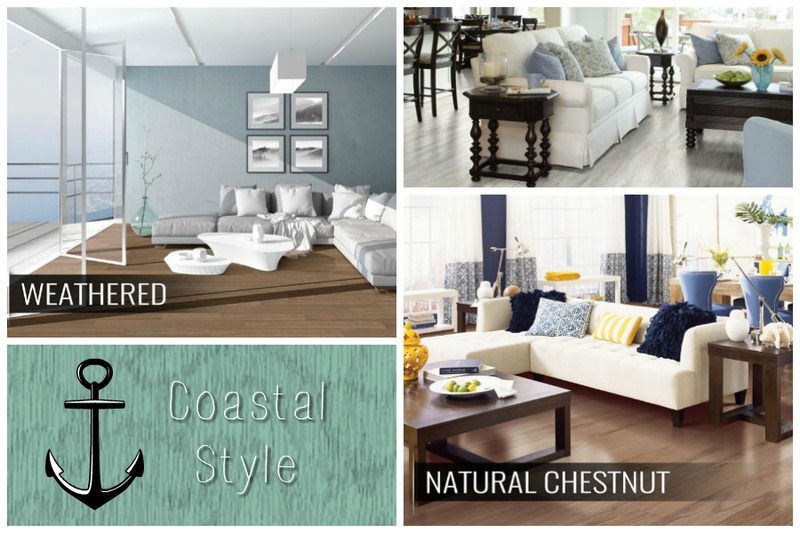 Coastal style is light, airy, with plenty of beachy colors like white, gray, blue, and sandy tan. Since beaches are usually hot and muggy, linen upholstery is common with coastal styles. End tables, coffee tables, and other accessories should have an unfinished wood look. For this look, I recommend a light or natural finished wood-look floor, like a smooth laminate or engineered wood. Eclectic style gained popularity in Europe and Russian in the 1830s, and later in the 1890s in America. Basically, designers had hit a wall when trying to create a new “look” for art. They felt that everything had already been done before and there was nothing new to create. What they decided, however, was to take pieces from several different design styles and place them in the same room, creating the eclectic style. A person could have a Queen Anne style chair next to a modernist coffee table and the contrast is what made the room look new and interesting. Eclectic design style depends on a type of “through-line.” This means that even though the room has different styles, it perhaps keeps the same colors or shapes. This creates unity. Have it All: Eclectic is known as a “catch-all” styling. All about the Contrast: textures, colors, and patterns are mixed together and contrasted for interest. Fabric Store: A multitude of fabrics are present. Not Messy: Despite what it sounds like, it’s not a messy look. Elements are well chosen and meant to compliment another. Cohesion: By matching elements of design like color, pattern, texture, and composition cohesion is achieved among different styles. Eclectic style tends to combine different looks together into something cohesive, yet contrasting. Would you pair a zebra rug with floral chairs? With eclectic style, you can! Pair contrasting patterns together, as well as contrasting fabrics. Create cohesion by composition and color. With eclectic style, you can use the full-color spectrum, but it’s recommended to keep the backdrop neutral and let the furnishings and accessories speak for themselves. 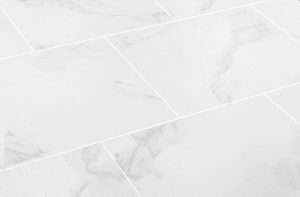 For a modern and clean backdrop, I would suggest a light porcelain tile with a marble look, or a tile with a smooth, even texture. You want a flooring that won’t distract from the zebra rug. Shabby-Chic is a fairly new design style. It began in the 1980s with the disposing of old furniture. Local artisans began to collect and transform them into signature pieces and give them new life. Shabby-Chic was wildly popular on the West Coast where there was a strong Mediterranean influence in the art. Experts thought the popularity of Shabby-Chic was waning, but with the creation of Pinterest, the DIY aspect of shabby-chic is strong as ever. Go Antiquing: This style is all about the antique flea market finds. Vintage Inspired: If your favorite search word on Pinterest is “vintage” then this look is for you. Keep it Distressed: Distressed wood and sanded down paint is a common look for shabby-chic. Keep it Light: The color pallet for this look is all about the pastels. Faded Flowers: Don’t be afraid of a vintage flower print on your couch, rugs, or chairs. Shabby-Chic is a DIY dream style. If your favorite activities are antiquing, roaming the flea market, and repainting furniture in pastels, then this style is yours. This style favors dusty rose colors and baby blues. Lavender, white, gray, and faded florals are also common. If you’re a fan of vintage character and finding statement pieces and giving them a fresh coat of paint, you’re a shabby-chic decorator. 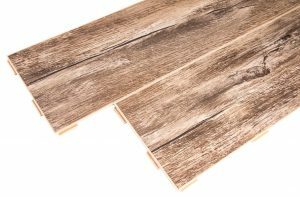 For this style, I would recommend a vintage-look flooring like a dark, distressed wood-look like a laminate, vinyl, or engineered wood. For an extra vintage look, choose a wood finish that is red or yellow in tones. Scandinavian design philosophy took off in the 1930s. 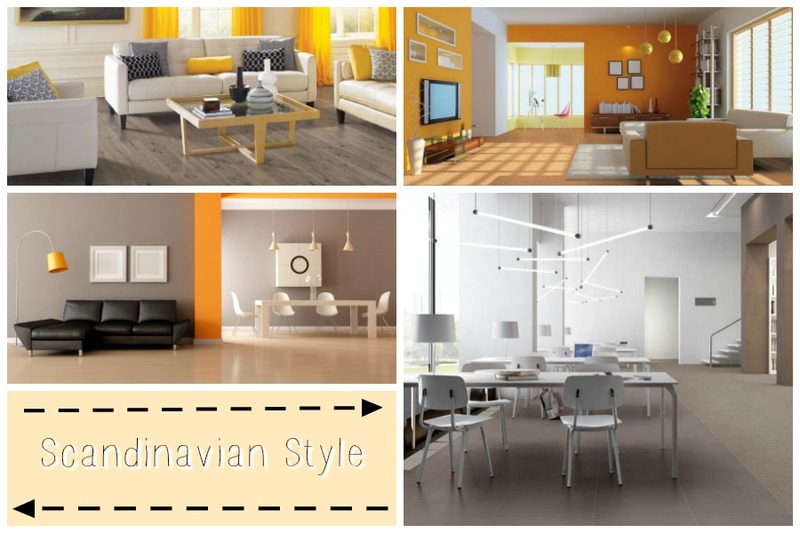 Scandinavian design originally comprised of 5 Nordic countries: Denmark, Finland, Iceland, Norway, and Sweden. The goal was to be functional and minimalist. Scandinavian design hoped to improve the lives of people by giving them well-designed living areas. It’s practical. Their philosophy centers around natural materials, also making this design style very eco-friendly. Swedish Meatballs: If you love shopping at IKEA you’re in luck! Scandinavian style furniture is big at IKEA. You can have your couch and your meatballs too. Keep it Minimal: Scandinavian style is all about minimalism. If it doesn’t serve a purpose, it’s not in the room. Form and Function: Everything in this style is very functional. It serves the exact purpose it’s designed for and that’s it. Colors: White and gray are the overall background colors. Color Pop: However, there’s nothing wrong with a bold pop of yellow, red, or a color of choice. Keep it Clean: Simple, clean lines should dominate this look. Maybe you’re like me and wish you could live in IKEA. I love their style because everything is so organized and simple. If you are also a minimalist person with a desire to declutter your life, Scandinavian style is your aesthetic. Though the overall color scheme is black, gray, white, and other neutral colors, add a pop of bright color for interest, like red or yellow. 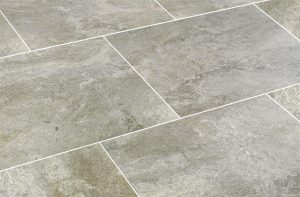 For this super clean look, the best flooring is a tile in a white or gray tone or a vinyl plank. Let your accents pop! Bohemian style has a bit of a complicated history. First, the bohemians were originally known as a counter-culture in France during the 1800s. They were a nomadic and artistic culture. Bohemian as a style, has similar roots. Bohemian style is attached to artists, writers, and thespians. All about the Patterns: Bold patterns dominate the overall look of the room. And don’t be afraid to mix and match them either! Keep it Vibrant: Rich, bright colors like purples and reds are common. Keep it Comfy: Throws, pillows, and rugs are abundant in these spaces. It’s all about the comfort. Mix it Up: If you’re a fan of faux fur, wood, and metallics, then this look is for you. Better yet, have them all and mix and match them in a room. Messy and Stylish: It’s okay for a room to have a slightly cluttered look. Bohemian is about comfort and color. The boho style has been strong the past few years and shows no sign of stopping anytime soon. 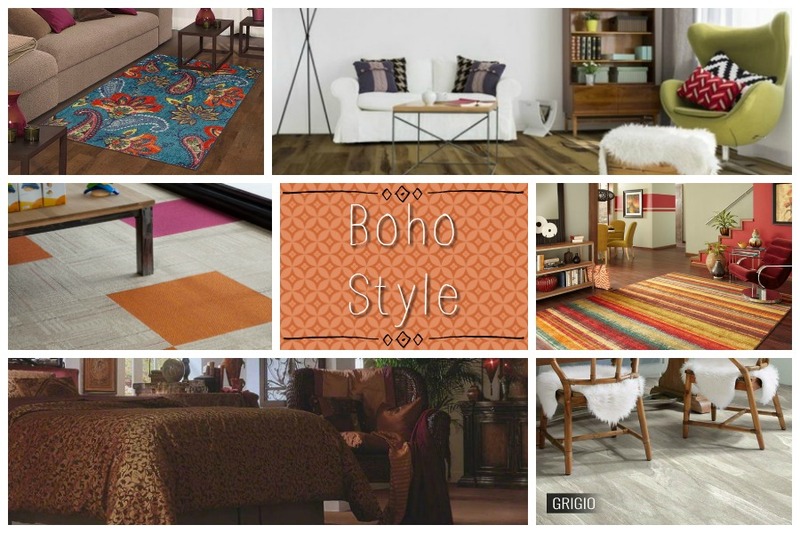 Maybe it’ll feel dated one day, but if you have a boho style, you probably won’t care. Bohemian style is all about the textiles. Drape furniture, ottomans, and chairs with a variety of fabrics and textures. Faux fur is your friend here, and the fabric pouf ottoman is your go-to accessory. 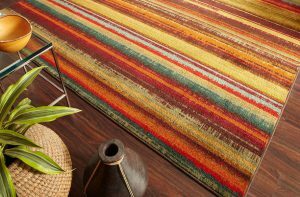 With bohemian, you could go for a fun carpet to add to the texture of your home. Not a fan of carpet? No problem! Keep your wood or tile and add a rug for texture. Remember, these aren’t hard and fast rules for style. As you can tell from the pictures, many inspired looks mix and match with other styles. Many people have a style that is uniquely them. 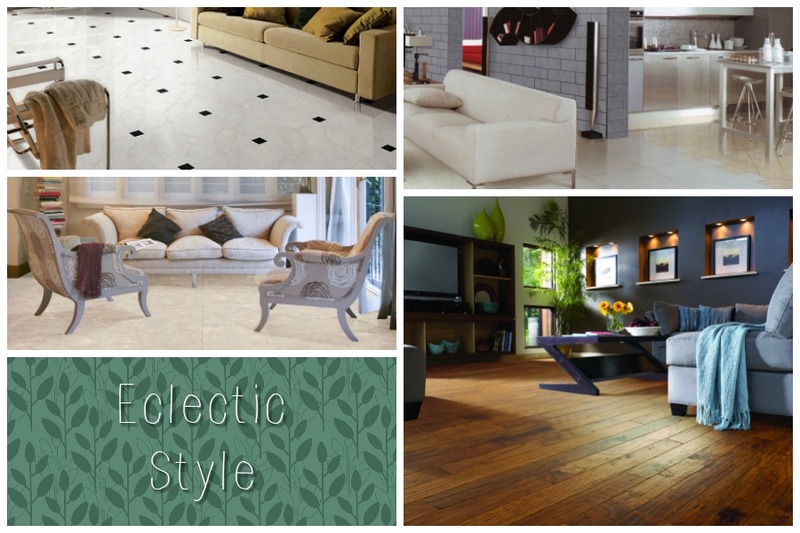 Whether you want your floor to be the star or the backdrop of your bold style, find a floor that fits you! 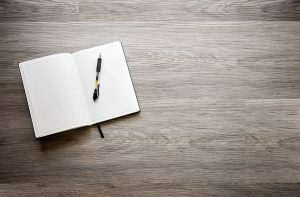 Wow, I did not know that there were so many different types of flooring out there or that so much had to be considered when choosing the right one for yourself. 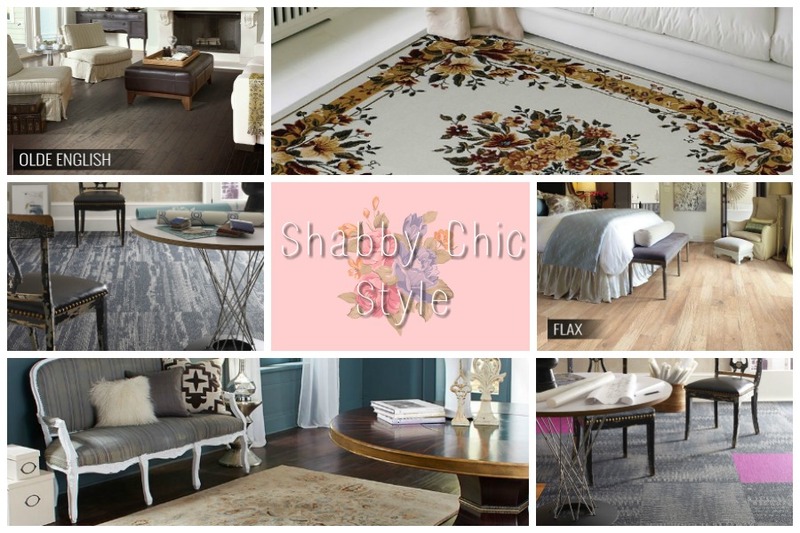 However, of the ones you’ve presented in the article, I think my favorite definitely has to be the shabby-chic. 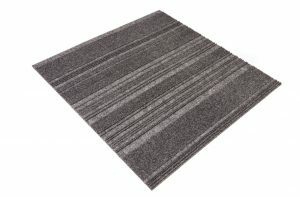 There is something about the design that looks very warm and soft that would be great for a floor. Glad you enjoyed it, Duncan! Nice suggestion! I’m loving your blog. 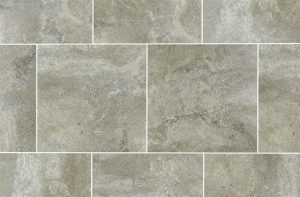 Every new home buyer always needs to choose the floor pattern at the primary stage. So those tips will help you a lot. 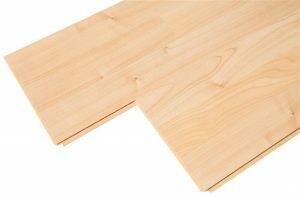 I do prefer the “Modern Flooring Style” & I would love to choose the hardwood flooring at salt lake city As it will be beneficial for the environment of the room & stylish at the same time.